Two Global Scholars received Outstanding Presentation Awards at the Undergraduate Research Symposium on April 28. Elizabeth Fentress, a senior in speech-language-hearing, and Danielle London, a senior in peace & conflict studies/global & international studies with minors in French and Spanish, were recognized at the Symposium Banquet and received a monetary award. Approximately 900 students, faculty, staff and guests attended KU’s 21st annual symposium, which showcased the research and creative endeavors of more than 250 students from across campus. Fentress presented "It’s Rhyme Time: The Effect of Rhyming Storybooks on Chinese Vocabulary Learning," mentored by Holly Storkel, professor of speech-language-hearing. While previous research explored the potential benefits of rhyming in storybooks childhood language acquisition, these studies did not examine the role of rhyming in foreign language acquisition. Fentress’ project looked at the effect of rhyming storybooks on Chinese vocabulary acquisition in 4-to-5-year-old monolingual children. An experimental group of children was read a storybook that introduced the Chinese names of animals in a rhyming format, while the control group was read the same storybook in a format that did not rhyme. For each child, the book was read three times across three different sessions, with a pre-test and a post-test given each session. Results showed no significant difference between the control and experimental conditions. Fentress showcased her research on Chinese vocabulary learning at last April’s Global Scholars Symposium. 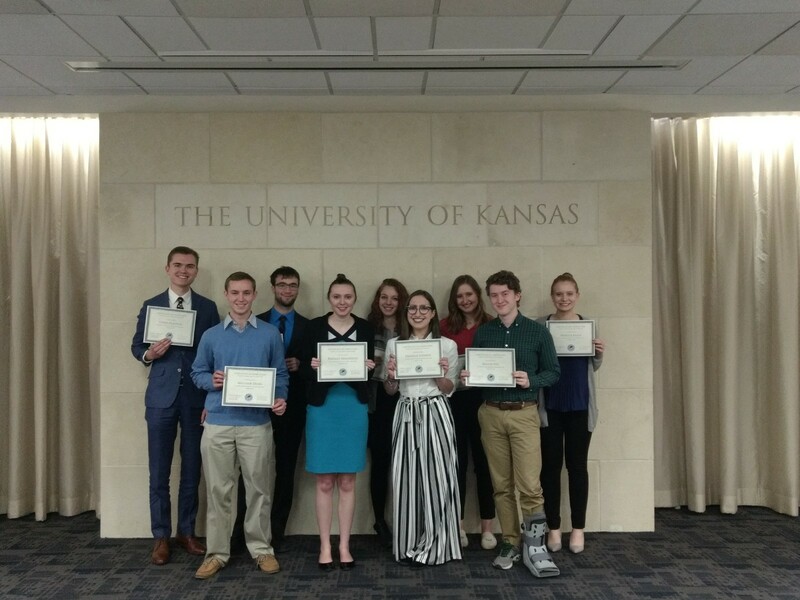 London presented "From Burning Bushes to Burning Olive Branches: UN Resolutions, U.S. Foreign Policy, and Israeli Settlements.” The Global Scholar was mentored by Anne Dotter, director of the University Honors Program, and Brian Lagotte, lecturer of global & international studies. Her research examined the relationship between and the efficacy of U.S. foreign policy and UN resolutions on Israeli settlements in the past five years. She used Nancy Fraser’s concept of abnormal justice to evaluate the policies and resolutions. Data comes from newspaper articles on official federal statements, actual UN resolutions, and quantitative data on U.S. foreign aid and Israeli settlement expansions. The research furthers conversations on the best practices for peace building in the ongoing conflict of Israeli occupation of Palestine. London presented her research at this year’s Global Scholars Symposium. Global Scholar Danielle London is among the 12 KU students to receive a prestigious University Award. These awards recognize students who embody service excellence, dedication or whose academic achievements are stellar. London received the Rusty Leffel Concerned Student Award. This award annually goes to students who demonstrate a concern for furthering the ideals of the university and higher education. The award was established by a group of seniors in 1973 to honor their fellow student, Leffel. 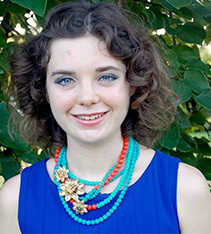 The senior from Leawood is majoring in global & international studies and in humanities. 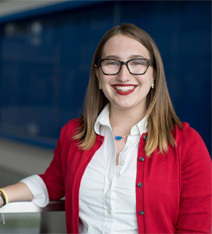 Her involvement at KU spans groups like Students United for Reproductive and Gender Equity, Jayhawk Friends Exchange, Model UN, KU Interfaith Alliance and Global Partners. London studied in Costa Rica with Grupo de Kansas for six months in 2017, and last fall she edited the Undergraduate Research Journal for the Humanities. Among the ways she has served her peers are as an orientation assistant, Hawk Week leader and peer social justice educator through the Office of Multicultural Affairs. 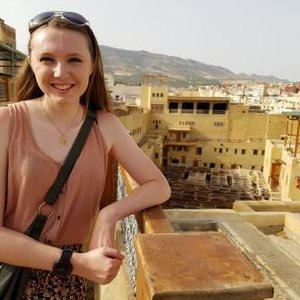 Global Scholar Rebekah Burgweger received the Ethan P. Allen Pi Sigma Alpha Award, which honors an outstanding graduating senior majoring in political science. Burgweger double-majored in history and political science with a minor in Middle East studies at KU. Her capstone research, which she presented at the 2018 Global Scholars Symposium, focused on how the Islamic State (IS) uses propaganda to complement its real-world strategy. By employing rhetoric designed to target sympathizers, IS uses propaganda to complement the group’s real-world strategy. Analyzing the changing IS media tactics in conjunction with real-world events over the last three years may reveal how propaganda links with the group’s overall strategy. Few scholars have explored how propaganda interlinks with IS real-world strategy. She collected data from the official IS magazines, Dabiq and Rumiyah, and analyzed them prior to contextualizing the results within real-world events. Understanding how IS propaganda reflects the group’s strategies may help scholars gain a deeper understanding of the terrorist group’s goals. Burgweger will be attending Georgetown University this fall to begin graduate work in Security Studies, Terrorism and Substate Violence. Faculty mentors, International Programs Advisory Board members, family, friends, and members from all three current cohorts of Global Scholars filled Alderson Auditorium during the Global Scholars Symposium on Saturday, April 7. The Symposium showcased research on topics including Belgium’s underground press during World War I, how fire affects soil fungal communities, and refugee integration programs in liberal welfare nations. “Most of our scholars conduct their research within the context of their majors, and we are delighted that our scholars are able to find compelling ways to meld their interest in the world with the requirements of their degrees,” said Professor Megan Greene, director of Global Scholars and faculty programs in International Programs. The 2016 cohort participated in the seminar course, "From the Social to the Global: Seeing the World through Flamenco and Latin Popular Dance.” Professor Michelle Heffner Hayes led students in the examination of culture, gender, class, and other global issues. Scholars developed an internationally focused undergraduate research proposal, strengthening their critical thinking and research skills. The class met twice a week: once for readings and discussion and once for dancing. The Scholars followed their seminar with a study abroad program and faculty-mentored research. Scholars received a $1,000 scholarship toward a KU-approved, credit bearing program. For many, their study abroad experience profoundly influenced their research. Fourteen sophomores were selected for the 2018 Global Scholars cohort. The potential for high academic achievement and leadership and demonstrated interest in global and international studies were among the criteria used to select Global Scholars. In an effort to bring a greater diversity of voices and experiences, one-third of scholars attended high school outside of North America. “We are delighted to select a great group of Global Scholars who come from a wide array of disciplines, and bring many diverse experiences and international interests to the seminar and the Global Scholars program as a whole,” said Professor Megan Greene, director of Global Scholars and faculty programs for International Programs. Scholars participated in Biodiversity and Biodiversity Scholarship around the World this spring. Using his extensive network of colleagues, University Distinguished Professor A. Townsend Peterson created a global classroom to explore biodiversity. Scholars examined areas rich in the number, variety and variability of living organisms – such as coral reefs – and those lacking biodiversity. Scholars studied biodiversity information, data on the diversity within and between species and of ecosystems. Dr. Peterson’s colleagues highlighted their research projects in biodiversity science. Scholars read papers and discussed these topics with students and scholars around the world. The goal was to gain a global appreciation of biodiversity, biodiversity information, and biodiversity science, and how all three do and do not work together. The 2018 Global Scholars are listed below along with their academic areas of interest.